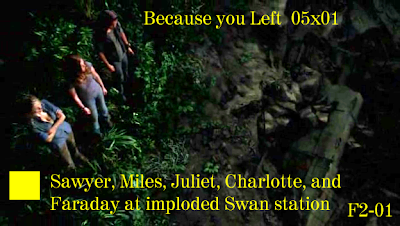 The group reaches the Swan and finds it is still destroyed. Locke meets Richard at the burnt beechcraft drug plane. Locke is bleeding to death from Ethan’s bullet wound. 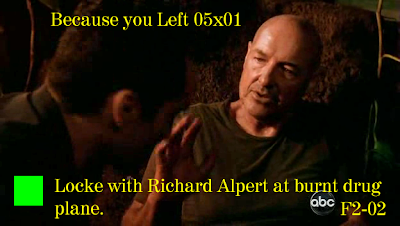 Richard tells Locke that Richard and his group didn’t move, Locke did. Richard tells Locke that the people on the helicopter are safe and at home. Richard also tells Locke next time we see each other; I’m not going to recognize you, give me this (compass) so I know who you are. 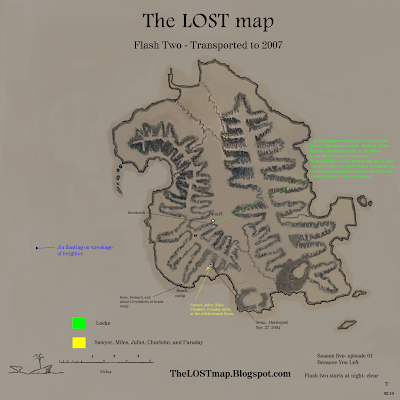 The third flash occurs while the Losties are at the destroyed Swan.